Sandstone used for the early construction of our nation’s capital was mined from a sandstone quarry on Government Island in Stafford County. 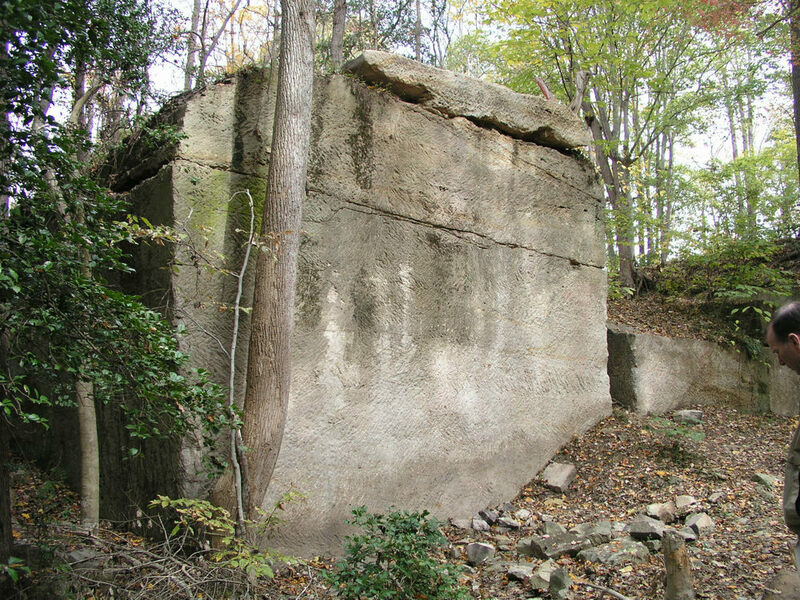 This quarry has now been preserved in a unique historical park preserved for all by Stafford County. Resource International, Ltd (Resource) was the engineer of record providing survey, wetland, marine permitting and site plan engineering and construction administration for the 12-acre site. The project was funded by Stafford County and took 5± years from inception to the completion of construction. Resource worked with the Stafford County Planning, Public Works, Code Compliance, Building Inspection, Sheriff, Fire/EMS, Parks and Recreation Departments and several state and federal agencies including the Department of Environmental Quality (DEQ), Department of Historic Resources (DHR), Virginia Marine Resources Commission (VMRC), Coast Guard, and Federal Emergency Management Agency (FEMA)….to make this dream a reality. The park grand opening was Saturday, November 6, 2010. Resource specializes in engineering, environmental, planning, and land surveying services for private and public clients. The firm’s corporate office is located in Ashland, Virginia and with a second office located in Chesapeake, Virginia. Older PostIs your solid waste program prepared for VELAP?